Beijing Opera, or Chinese Opera, or Peking Opera (simplified Chinese: 京剧; traditional Chinese: 京劇; pinyin: Jīngjù) is a form of traditional Chinese theatre which combines music, vocal performance, mime, dance and acrobatics. It arose in the late 18th century and became fully developed and recognized by the mid-19th century. Beijing opera features four main types of performers. With their elaborate and colorful costumes, performers are the only focal points on Beijing opera's characteristically sparse stage. They utilize the skills of speech, song, dance, and combat in movements that are symbolic and suggestive, rather than realistic. Above all else, the skill of performers is evaluated according to the beauty of their movements. The art form has come to be regarded as one of the cultural treasures of China and made the list of UNESCO Intangible Cultural Heritage of Humanity. 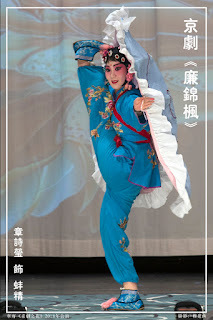 Major performance troupes are based in Beijing and Tianjin in the north, and Shanghai in the south. The art form is also preserved in Taiwan, where it is known as Guoju (國劇; pinyin: Guójù). It has also spread to other countries such as the United States and Japan. is a non-profit organization with 501 (c) (3) status approved by IRS. 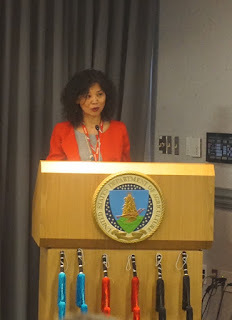 Her aim is to promote cultural diversity and enhance the public awareness of the philosophy of harmonious society in the US East, in particular the Metropolitan Washington DC area through educational oriented performances and workshops about Beijing Opera. 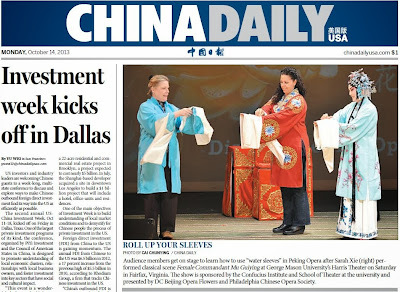 Also referred to as" DC Beijing Opera Flowers" in the past, DCBBO was founded by 5 female professionals in international financial institution, IT industry as well as elementary and high schools, who have had over 10 years of Beijing Opera performance experiences through part-time engagement. 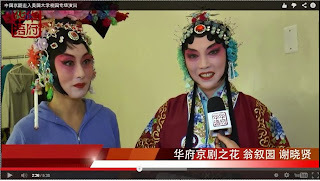 DCBBO is proud of her contribution to entertaining the audience as well as raising public awareness and appreciation of Beijing Opera, which is deeply rooted in the 5,000 years of Chinese culture and acts as an active vehicle of promoting Confucius philosophy of harmonious society in many aspects. Her performance footprint was found in numerous cultural events in US East. The most recent pieces include the Beijing Opera Gala 2017 and 2016; Beijing Opera Training Classes at Confucius Institute US Center; Discover Beijing Opera in George Mason University and Mary Washington University; Workshops at Osyter-Adam Bilingual School and Parkland Magnet Middle School; Lunar New Year Celebration hosted by City of Rockville, Maryland; Asian-Pacific Americans Heritage Month Celebration hosted by US Department of Agriculture and Department of Transportation; Beijing Opera Concert at Villanova University, Philadelphia; and 14th Peking Opera Gala at Boys and Girls Club of Camden County, New Jersey. These events had wide media coverage and were highly remarked by the public, in particular the Chinese-American Community. Mr. Weng Si-Zai, an adjunct professor at the East China Normal University, is a well-known journalist and respected Beijing (Peking) Opera scholar in China. 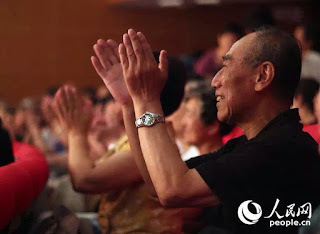 His rich knowledge and understanding of Chinese traditional theatre is highly praised by both the professional Beijing Opera artists and critics in China. Mr. Weng is also a well-trained Beijing Opera performer who understands the principles of Beijing Opera singing and acting, and the uniqueness of Chinese traditional theater in comparison with western styled opera and drama. His comprehensive study of Chinese traditional theater in general, and Beijing Opera in particular, is rooted in his deep understanding of Chinese history and culture, as well as western opera and drama, such as the theories of Bertolt Brecht and Constantin Stanislavski. In the workshop “Discover Beijing Opera”, he discussed the rich characteristics of Beijing Opera and compare them to Brecht’s epic drama and elaborate the impact the former has on the latter. A demonstration of Beijing Opera singing and acting was a part of his presentation. Top notch Beijing Opera artists, Mr. Ma Shaoliang and Mme. Qin Xueling showcased singing and dance-acting during the workshop. Mr. Ye Ding from the Georgetown University interpreted for this workshop. 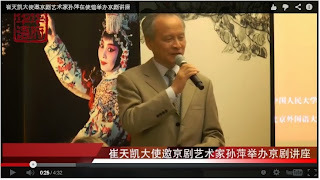 China's US Ambassador Cui Tiankui Hosts Beijing Opera Workshop with Beijing Opera Artist Sun Ping.